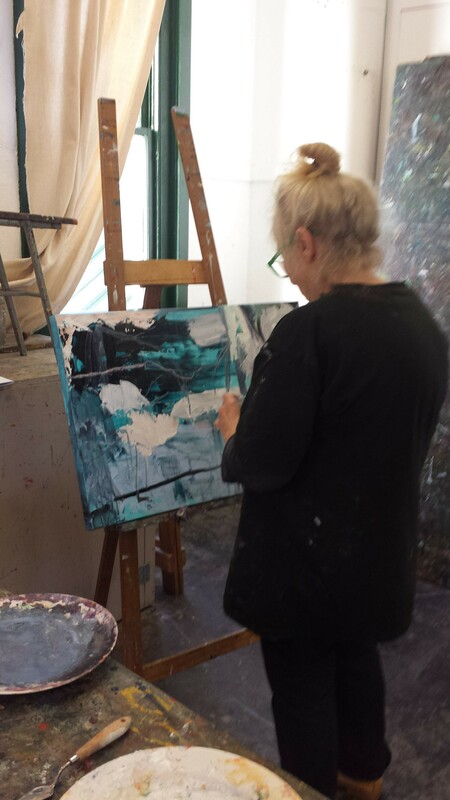 Students work at Workshop Arts Centre Willoughby and Living Art Studios in Cremorne Point. The paintings are at different stages to show layering technique. Some are completed. 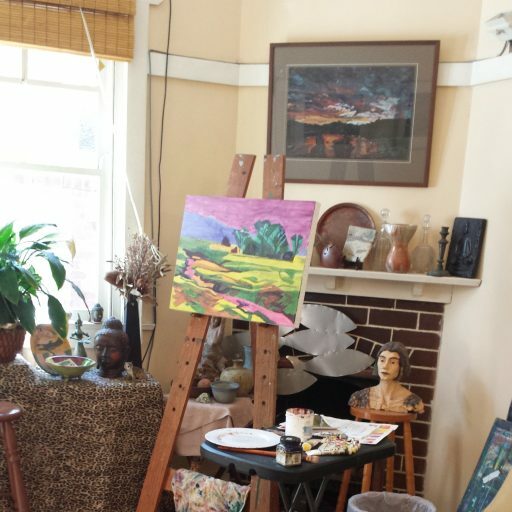 Sarah believes that paintings should be completed in an open-ended fashion rather than finished overworked.